There are so many ways to DIY your way through self-expression in your home. One part of our home that doesn’t get a lot of attention is our closet doors. We use our closet doors every day and most of the time never really pay attention to how they look. 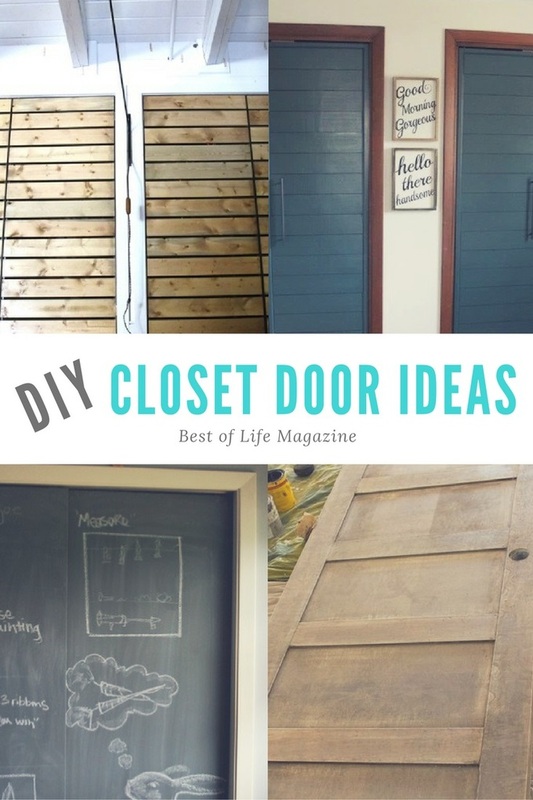 However, if you DIY your closet doors, you will find that you love them a lot more, especially with these DIY closet doors as inspiration. DIY Closet Doors can transform a room! There are so many fun ideas for every budget! Self-expression is something we all do mostly in the home. However, we seem to forget a few places and go with trends. Use material and colors that express who you are and make your ordinary closet door a reflection of you. A lot of the time, you won’t even need to be new doors. Use the closet doors you have already and make them look like you spent hundreds of dollars. One of the best parts of DIY closet doors is recycling old materials and giving them new life. Take advantage of this opportunity and turn something old into something new. You will definitely need some basic tools and supplies for projects like these. Sandpaper, paint, scrapers, paint brushes, paint tape, and even some stencils can come in handy when you are doing home DIY projects!